GOP presidential frontrunner Donald Trump is facing massive backlash over his statement that abortion should be illegal and that women should be punished for having them. Faced with questions from MSNBC's Chris Matthews to clarify just what his stance is as a pro-life candidate, he at first attempted to evade Matthews' line of questioning before eventually relenting. 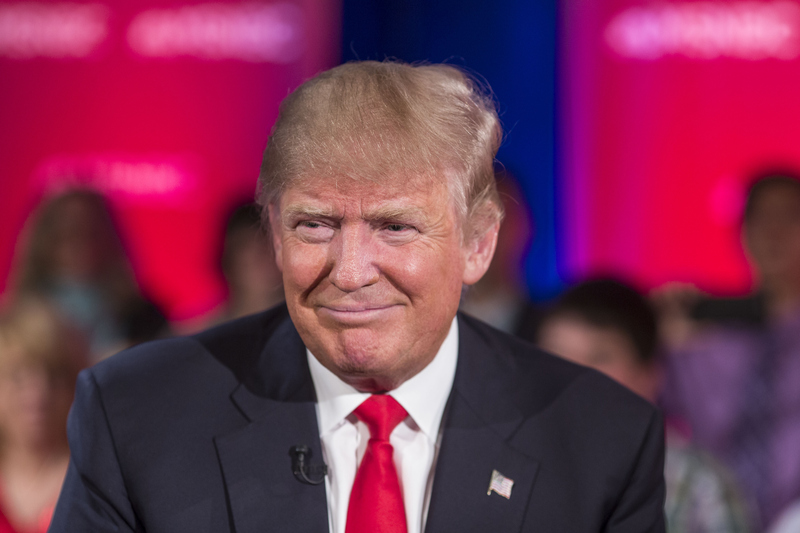 Donald Trump's full comments on abortion appear to be as contradictory as they are troubling. A full transcript has been released of the heated exchange between Trump and Matthews, which starts out with a request for The Donald to define his "stance on women’s rights and their rights to choose in their own reproductive health." Trump stated that he was pro-life "with three exceptions," which he failed to define. He made vague comments about the importance of electing someone who will nominate a viable Supreme Court justice, appearing to attempt to sidestep Matthews' questions entirely. Well, you know, you will go back to a position like they had where people will perhaps go to illegal places but you have to ban it ... The answer is that there has to be some form of punishment [for the woman]. If Congress were to pass legislation making abortion illegal and the federal courts upheld this legislation, or any state were permitted to ban abortion under state and federal law, the doctor or any other person performing this illegal act upon a woman would be held legally responsible, not the woman. The woman is a victim in this case as is the life in her womb. My position has not changed. Like Ronald Reagan, I am pro-life with exceptions. Mr. Trump’s comment today is completely out of touch with the pro-life movement and even more with women who have chosen such a sad thing as abortion. Being pro-life means wanting what is best for the mother and the baby ... No pro-lifer would ever want to punish a woman who has chosen abortion. This is against the very nature of what we are about. Other presidential hopefuls have also voiced their displeasure, including fellow GOP presidential candidate John Kasich and Democratic candidate Bernie Sanders. Both Kasich and Sanders were interviewed on MSNBC programs regarding Trump's statements. Kasich's response stands out in particular because the Ohio governor predicted Trump's next course of action. "Probably, Donald Trump will figure out a way to say that he didn't say it or that he was misquoted," Kasich said. Trump's backtracking has become so predictable that even other politicians are taking notice. No matter what else Trump has to say about abortion, it appears that his main focus will continue to be spinning such comments in his favor rather than firmly establishing a position on such an important issue. QUESTION: Hello. I am (inaudible) and have a question on, what is your stance on women’s rights and their rights to choose in their own reproductive health? TRUMP: ... this presidential election is going to be very important, because when you say, “what’s the law, nobody knows what’s the law going to be. It depends on who gets elected, because somebody is going to appoint conservative judges and somebody is going to appoint liberal judges, depending on who wins. TRUMP: Let me just tell you -- I don’t know. That I don’t know. That I don’t know. MATTHEWS: I’m not talking about my religion. TRUMP: No, no, I am talking about your religion. Your religion -- I mean, you say that you’re a very good Catholic. Your religion is your life. Let me ask you this..
And secondly, I’m asking -- you’re running for President. MATTHEWS: OK, here’s the problem -- here’s my problem with this, if you don’t have a punishment for abortion -- I don’t believe in it, of course -- people are going to find a way to have an abortion. MATTHEWS: I have a view -- a moral view -- but I believe we live in a free country, and I don’t want to live in a country so fascistic that it could stop a person from making that decision. MATTHEWS: So determined of a society that I wouldn’t able -- one we are familiar with. And Donald Trump, you wouldn’t be familiar with. MATTHEWS: Well, they’re usually involved. Anyway, much more from the audience here at the University of Wisconsin, Green Bay. We’ll be right back.